Apple’s CEO took the stage today at Stanford University to announce that Apple Pay has made incredible progress: starting this September, the company’s mobile payment platform will be available for users of federal payment cards, including Social Security and veterans benefits. 1) Apple is incorporating the Framework [Cybersecurity Framework, released on February 12, 2014] as part of the broader security protocols across its corporate networks. 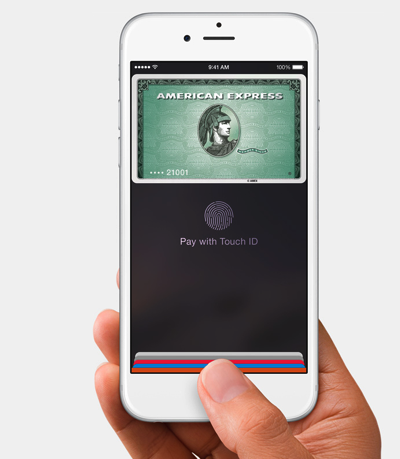 2) Apple, Visa, MasterCard, Comerica Bank and U.S. Bank are committed to working together to make Apple Pay, a tokenized, encrypted service, available for users of federal payment cards, including DirectExpress and GSA SmartPay cards. During his speech, Tim Cook emphasized Apple’s commitment to customer privacy and security, highlighting that what drives the company is making the best products instead of selling their customers’ personal data. Since security was the main topic of the summit, Cook pointed to the security features Apple Pay incorporates in light of the security breaches we have all read about recently. He severely criticized unspecified parties who fail to protect privacy — without mentioning anyone by name. He also outlined the importance of all parties working closely together to improve data security, urging everyone to get things right. “Sacrificing our right to privacy can have dire consequences,” Cook said.